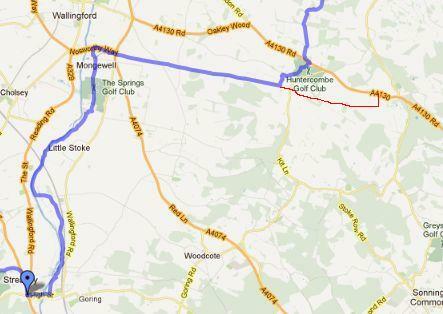 Monday’s route follows the Thames Path up to south of Wallingford. Then the Ridgeway east to near Nuffield. We then follow smaller paths to Nettlebed.